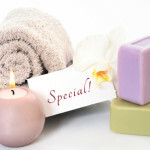 We invite you to take your time and enjoy a fabulous Spa Package consisting of several of our relaxing Spa treatments. Make a day of it with someone special. Choose from any of our packages below or create your own.